And whilst we appreciate that a little ‘elbow grease’ may be required, we feel sure that the finish will be a reward in itself. The spray is made with our 4 oil Essential Oil blend with that citrus Orange being the main oil, as it is with our other products. The spray also includes White Vinegar to give that super, sparkling finish. 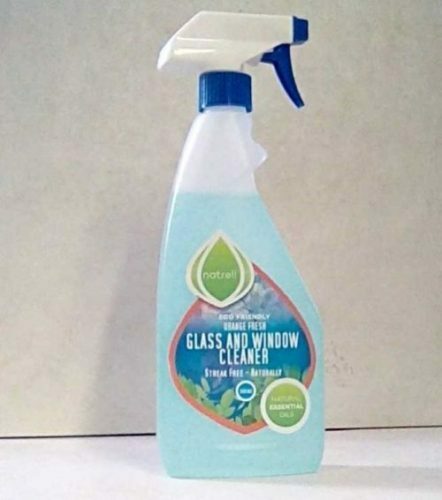 Our NatrellTM Glass and Mirror Cleaner is non – aerosol – no ozone damaging chemicals.